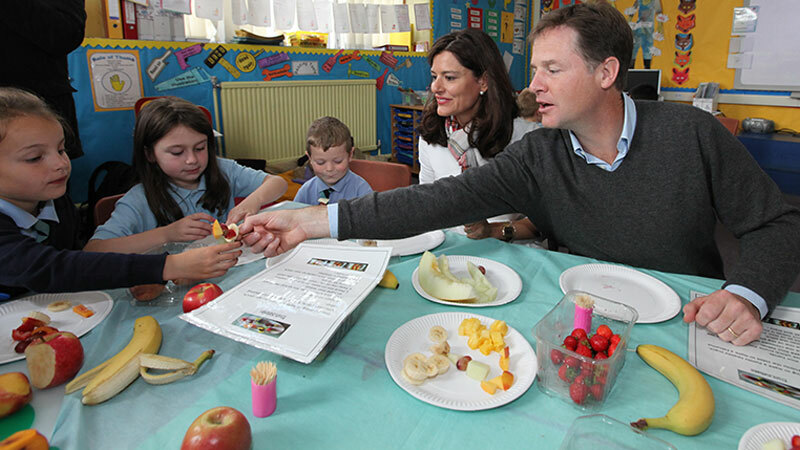 All school children under the age of 11 will be entitled to free school meals under Liberal Democrat manifesto plans announced today (29 April). Extending free school meals for seven to 11 year olds will benefit 1.9 million children and save parents around £400 per child a year. These plans will more than double the offer of free schools meals to all five, six and seven year old pupils delivered by the Liberal Democrats in government. Pilot studies have shown that a hot, healthy meal at lunchtime greatly improves the health, behaviour and results of school children, providing them with the best start in life. When free school meals were first introduced, between 3% and 5% more children reached target levels in maths and English at Key Stage 1, showing that the school meal initiative will help kids to fulfil their potential. “Liberal Democrats want every child to have the best possible start in life. That’s why I want every child to have a hot, healthy school lunch. “We know that giving children a healthy lunch helps them to concentrate in the afternoon and do better in class. Liberal Democrats will not enter a coalition with any party that does not agree to protect education funding, Liberal Democrat Leader and Deputy Prime Minister Nick Clegg has said. By setting education as a red line, any government with the Liberal Democrats must increase spending on nurseries, schools and colleges. Liberal Democrats want to protect per pupil funding from nursery to 19, in real terms, by the end of the parliament. This would amount to £5.2bn more funding than is planned by the Conservatives and £2.5bn more than Labour. You can listen to Nick Clegg making the commitment on education here. More information on our policies on education here.